Steven Ciobo will replace Christopher Pyne as the new Minister for Defence Industry following a cabinet reshuffle over the weekend. 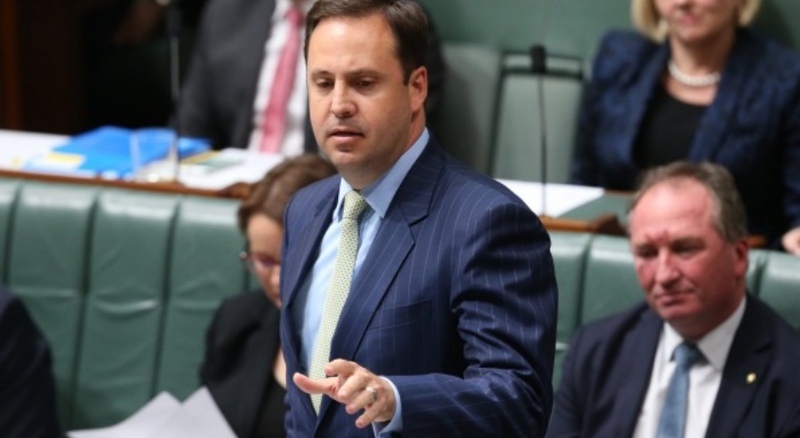 Expanding the government’s export plan will be a key focus for new Defence Industry Minister Steven Ciobo, who will build on his experience as minister for trade, tourism and investment. Minister Ciobo comes to the Defence portfolio with a breadth of professional and parliamentary experience. Before entering the Australian Parliament as the federal member for Moncrieff in 2001, he built a professional career as an executive in the economic reform unit at international firms Coopers & Lybrand and, later, PricewaterhouseCoopers. Most recently, the minister held the trade, tourism and investment portfolio under the Department of Foreign Affairs and Trade (DFAT). Since becoming trade minister in February 2016, he has concluded four trade agreements covering 19 countries. The trade agreements concluded, or currently being negotiated, by Minister Ciobo cover economies that account for more than 61 per cent of the world’s GDP. Minister Ciobo also helped in developing a single window for international trade to put technology and business at the heart of making exporting easier. And, together with his Japanese and Singaporean counterparts, he is leading work on a plurilateral agreement on digital trade with more than 80 members of the World Trade Organisation. As investment minister, Minister Ciobo was responsible for engaging with the international investment community to promote and facilitate foreign investment into Australia. Since his appointment, the total stock of foreign investment has risen by more than $233 billion. In his previous role as parliamentary secretary to the Treasurer, Minister Ciobo assessed more than 800 applications for business investment under Australia’s foreign investment framework. Over the weekend, Prime Minister Scott Morrison announced that Minister Ciobo would be replacing Christopher Pyne as Minister for Defence Industry, with Minister Pyne becoming the nation's Defence Minister. Following this announcement, Minister Ciobo said, "Last year I worked closely with Christopher Pyne to develop the Defence Export Strategy, including the creation of the $3.8 billion Defence Export Facility managed by Efic. I look forward to continuing Minister Pyne’s work to build an Australian defence industry that advances the Australian economy and creates and sustains Australian jobs." As part of the statement made by the minister, he highlighted his role in developing and enhancing the government's ambitious trade agenda, including free trade agreement negotiations with with the European Union, Hong Kong, the Pacific Alliance and relaunched negations with Indonesia. These achievements highlight the potential export focus for the new Minister for Defence Industry. This will be Minister Ciobo's fifth front bench role. He also served as an opposition spokesman under Brendan Nelson, Malcolm Turnbull and Tony Abbott. Minister Ciobo has previously served as Australia’s Alternate Governor to the World Bank, the Asian Development Bank and the European Bank for Reconstruction and Development. Minister Ciobo's appointment has been largely welcomed by industry, with Austal leading the way in welcoming him to the role. CEO David Singleton said, "Austal welcomes the new Defence Minister and Defence Industry Minister to their respective roles." Singleton expanded on this, highlighting the role Minister Ciobo's experience as minister for trade, tourism and investment will play in his future in the role, saying, "Austal welcomes Minister Ciobo as the new Defence Industry Minister. He has been an incredibly effective minister in the trade portfolio. He has always supported and assisted with Austal’s export endeavours. Minister Ciobo's appointment to Defence Industry will invigorate defence exports and we look forward to working with him in that capacity." Boeing Defence Australia echoed the comments made by Austal, with a spokesperson saying "We look forward to working with the Morrison government and continuing to provide the best Boeing products and services to support the men and women of the Australian Defence Force as they perform their vital missions." Minister Ciobo was sworn in as the Minister for Defence Industry on Tuesday at Government House, Canberra.